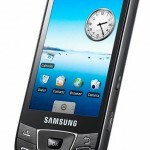 The Samsung i7500, known as Samsung Galaxy in some countries,is the first cell phone manufactured by Samsung that uses the open source Android operating system. 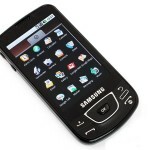 With the launch of i7500, Samsung became the first company to be among the global top three mobile phone manufacturers to release an android powered phone.It was announced on 27 April 2009. The i7500 is 3.5G smartphone. Some of the best features of this phone are it has a quad-band GSM and was announced with tri-band HDSPA at 7.2 Mbps. It has a 3.2-inch AMOLED touch screen that also features a light sensor with the latest OLED technology to help regulate its brightness.It has a great image quality with saturated and beautiful colors. It also has a 5 megapixel autofocus camera with exclusive power LED flash and a digital compass. 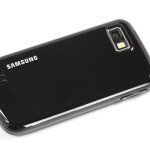 It is the most slender looking android cell phone as of now. Software wise,the i7500 giving users access to google mobile services and full web browsing at blazing speeds. It offers access to the full package of google services which includes google search, google maps, gmail, youtube, google calendar and google talk. The integrated GPS receiver has many of google maps features such as My location, google latitude, street view, local search and detailed route description. It also supports MP3 and AAC that includes iTunes plus downloads, WMA audio and H.264 video. It also has the an application which features Wikitude, a mobile travel guide which allows consumers to find out details of unknown sights via location based wikipedia articles. The i7500 provides a long battery life and a huge memory capacity of up to 40GB with 8GB of internal and 32GB external to enjoy all the applications and multimedia content. Our reviews on the i7500 is that the overall feel of the phone mirrors that of the Samsung Jet – it has a similar layout on the back of the phone, and has a weird spring-like response when you tap it as the haptic feedback device inside is clearly finely balanced. The phone has a different key layout to the other Android phones we’re used to, with the search button deleted and the home key stuck in between the terminate and back buttons. And instead of the trackball, Samsung has slapped a large D-pad with an ‘OK’ button at the heart of the layout, which takes up a lot more space and in all honesty isn’t really necessary. One of the beautiful things Android gives is that it offers a finger friendly design, meaning the amount of times you need to reach for the D-pad is minimal, and is mostly limited to your fingers moving between letters when inputting text and changing fields. We’d have preferred it if Samsung had shrunk the D-pad considerably and given us a larger home button,given how important that is. We do like the navigational buttons because they are large enough. Overall, it’s a fairly feature-rich phone and is liked by all for the vibrant screen, a good OS and huge storage capacity. I like the fact that flexible OLEDs have a quicker response time than LEDs, it just doesn’t make sense to use LEDs anymore!